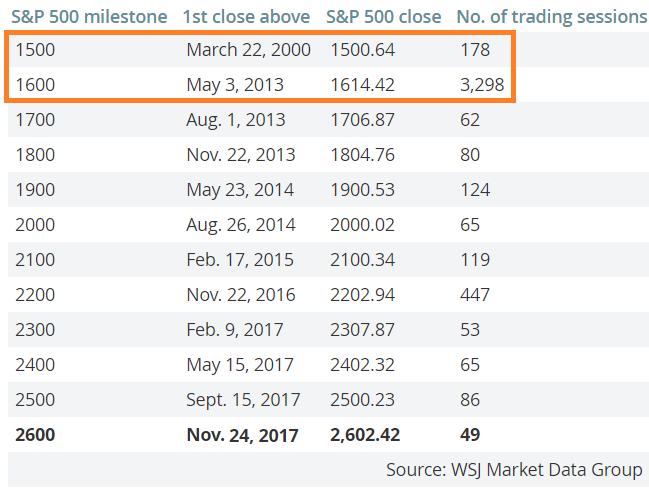 According to Bloomberg News, average analysts' estimates call for the S&P 500 to hit 2,800 by the end of 2018. Brian Belski at BMO Capital Markets is the most bullish among those surveyed with his call for a rise to 2,950 next year (2017), supported by strong corporate earnings. 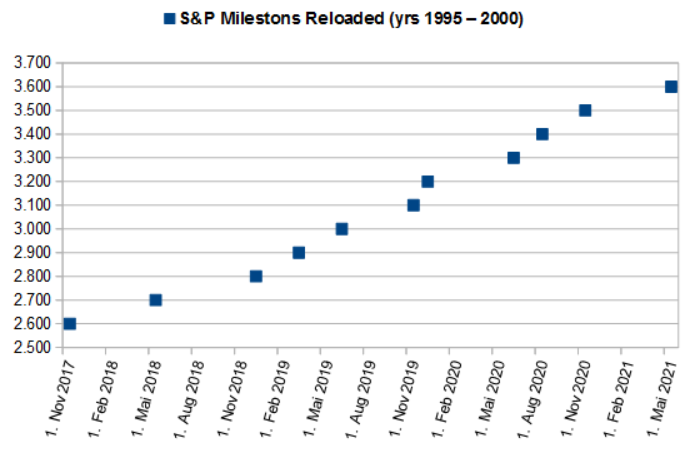 Savita Subramanian, market strategist at Bank of America Merrill Lynch, began in the year 2017 with a prediction for a 20% gain for U.S. stocks; This would have placed the Dow at 24,000, the S&P 500 at 2,700 [...]. She wasn't that far off the mark.